Roof Straight Support Product No. 101-R | Mechanical Support Systems, Inc. Please enter a value between 0 and 125. Horizontal straight support with welded stem for added strength. Support width is determined by length of straight support. Widths manufactured in 4”, 6” or 8”. 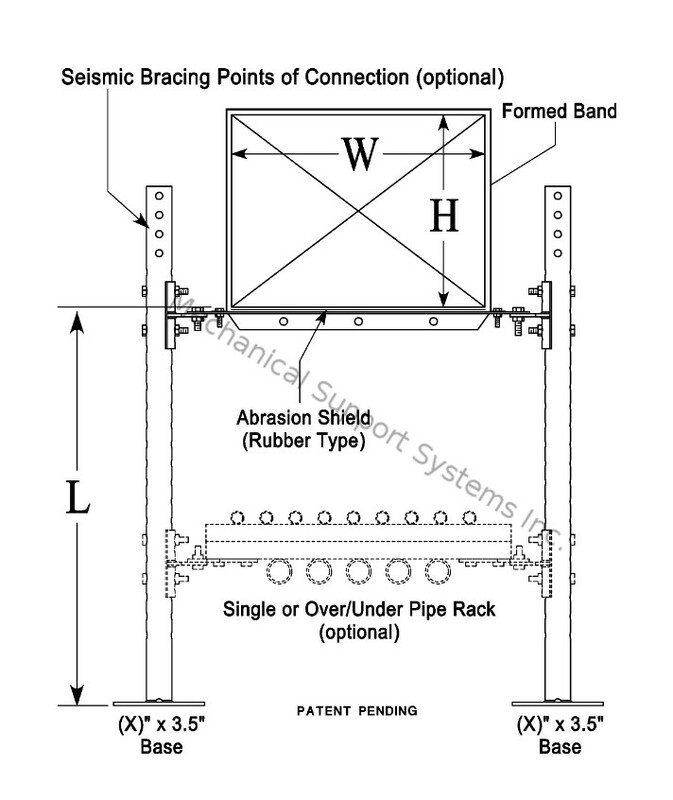 Support material thickness varies from .1345” to .5” depending on loads. Stem has 9/16” holes evenly spaced to accommodate other MSS accessories. 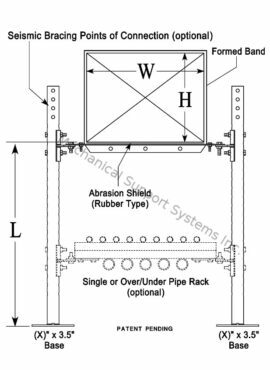 Comes with a formed band constructed of 16 ga. galvanized steel designed to retain the duct in place without the use of penetrating screws. Horizontal straight support connected with Grade 5 zinc plated nuts and bolts. Easily adjusted up or down in increments of .75”. 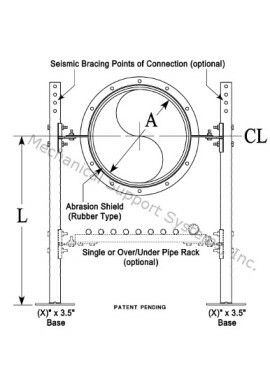 Support is lined with .0625” rubber type abrasion shield. Schedule 40 nominal 2” or 3” diameter mild steel legs cut to size with welded base plate to accommodate roof curbs. Each leg has four (4) seismic brace points of connection at the top. Copyright © 2019 Mechanical Support Systems, Inc..